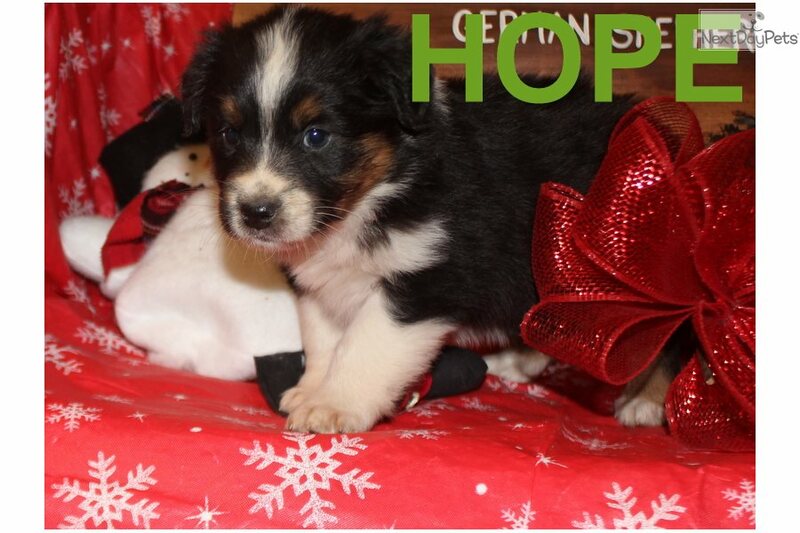 This Miniature Australian Shepherd nicknamed Hope sold and went to a new family. 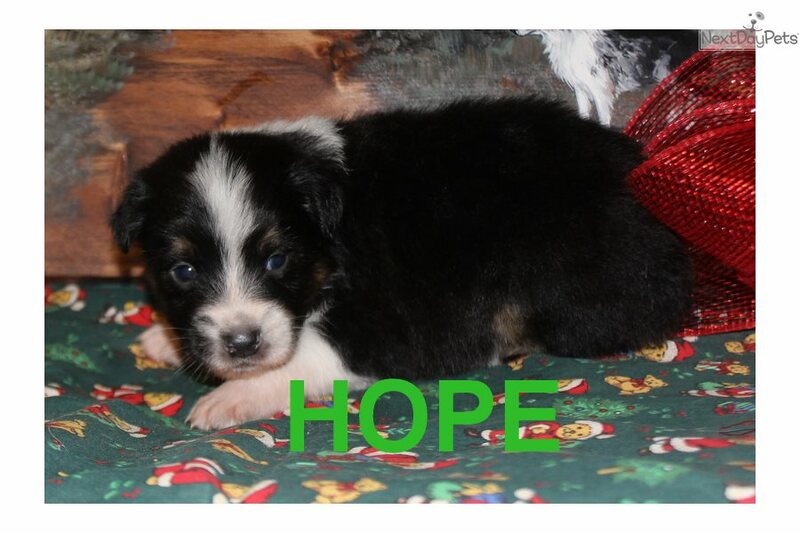 Registered ASDR MINIATURE Australian Shepherds. 4 Girls, 2 boys. Born Nov 1st, 2017. Ready to go Dec 27th. 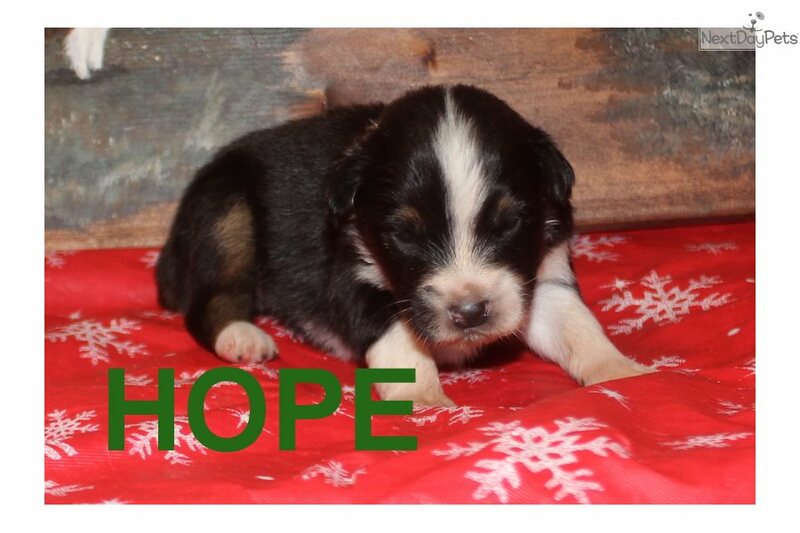 Hope is a Black Tri female. They will received 2 vaccinations, They will get started on a parvo vac, worming every other week and other meds for Coccidia and Giardia. Their Dew Claws have been removed and tails docked. 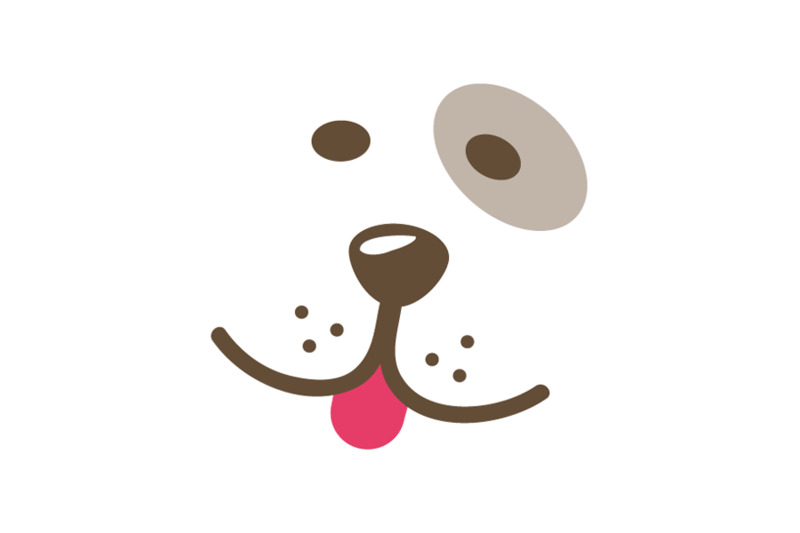 These babies get a lot of love and attention and they will worm their way right into your heart. 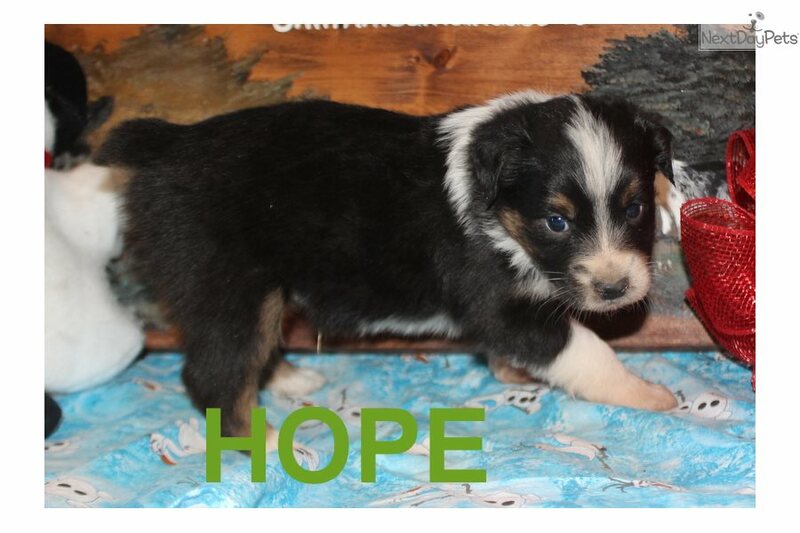 Mom is a Black Tri and about 18 pounds and dad is a Blue Merle with 1 blue eye and about 28 pounds. We do ship all over. $800.